1oz (approx. 28g) hexaganol shaped block of solid beeswax produced using the wax harvested from our own bees. Millions of uses - every home should have one! Please let us know on the order form which shaped block you would prefer otherwise we will supply one at random. 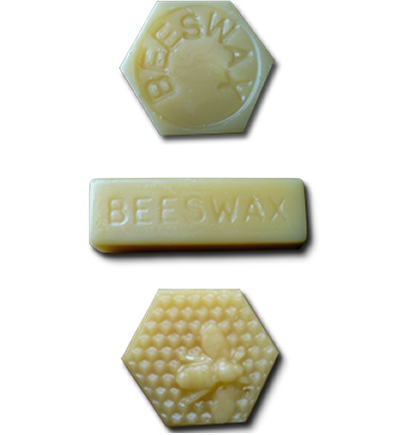 We also produce large wax blocks, formed whilst our honey is extracted from the comb. These blocks vary in size from 7 -15kg each and are suitable for hobbists. If you are interested in purchasing one please call us on 01250 886252 to see what we have available.